The new PCB’s are in, with some cool features! 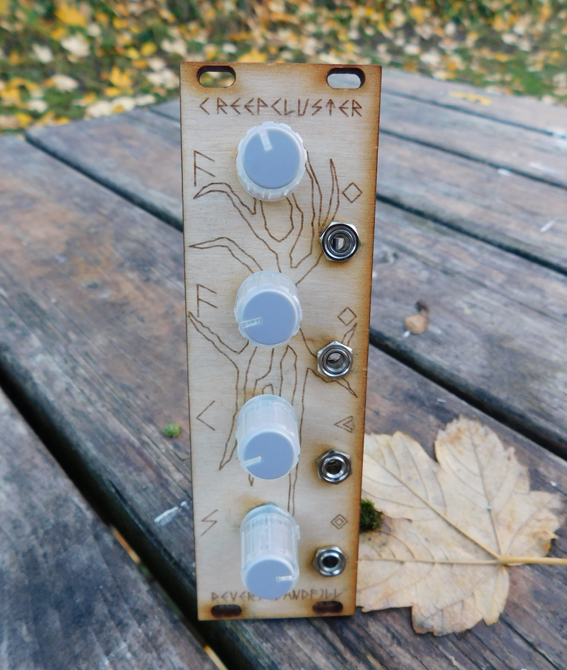 -The PCB is suitable for Eurorack or a 9v standalone synth. note: don’t place the trimpot on the backside, else it sticks out too much. IC 2 (CD4053) has a small bug . 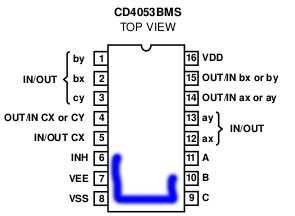 Pin 6, 9 and 10 should have been connected to GND, but are not. Use a snipped off piece of resistor leg to connect these pins to GND. Pin 7 and 8 are GND.